has sold its Southpoint commercial building to German property investor Union Investment Real Estate, in one of Brisbane's largest property deals. 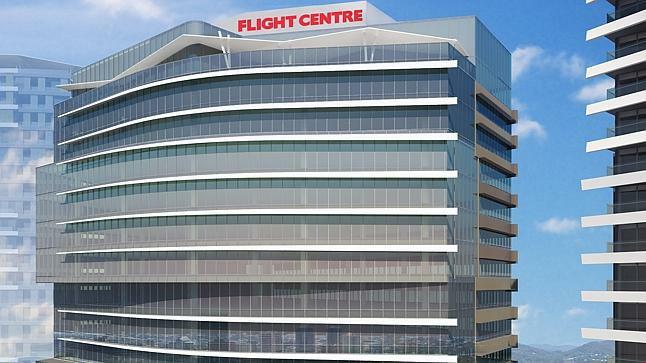 The $200m forward-funding deal will underpin construction of successful travel company Flight Centre’s new global headquarters and is the Hamburg-based company’s first venture into Australia. “As one of the largest and most promising office markets in the Asia-Pacific growth region, Australia makes an excellent addition to our international real estate fund,” said Head of Investment Management International Martin Brühl. Developed by Anthony John Group - creator of the award-winning Emporium in Fortitude Valley - Southpoint will be one of the largest mixed-use, transport-oriented development projects in Queensland. In addition to the 23,500sqm of A-grade commercial space, the $590 million South Bank development will offer luxury one-, two- and three-bedroom residences, Brisbane’s second Emporium Hotel, restaurants, bars and convenience-based retail. It also incorporates an upgrade to integrate the South Bank railway station facilities. In a further vote of confidence in the project, Australia's largest supermarket chain Woolworths has also committed to a 20-year lease at the Grey Street development. The 1,200sqm Woolworths supermarket will anchor Southpoint’s neighbourhood centre, which will provide the last piece of the puzzle to complete South Bank’s retail vision by providing residents, workers, students and tourists with a convenience based retail offering not currently available within the precinct. said that securing the Flight Centre tenancy- which was confirmed in November last year- and the Woolworths tenancy along with Union Investment Real Estate’s significant commercial investment, gave the Southpoint development a solid base on which to progress. “We now have two household names leading our commercial and retail offerings; while Union’s investment coincides with the strong support of our residential project, now totalling more than $135 million in sales,” he said. “As a result, we will not only be commencing construction of the Flight Centre HQ, we will also be progressing work on Southpoint’s ground-level retail and transport centre. assisted Anthony John Group with the sale to Union Investment Real Estate.